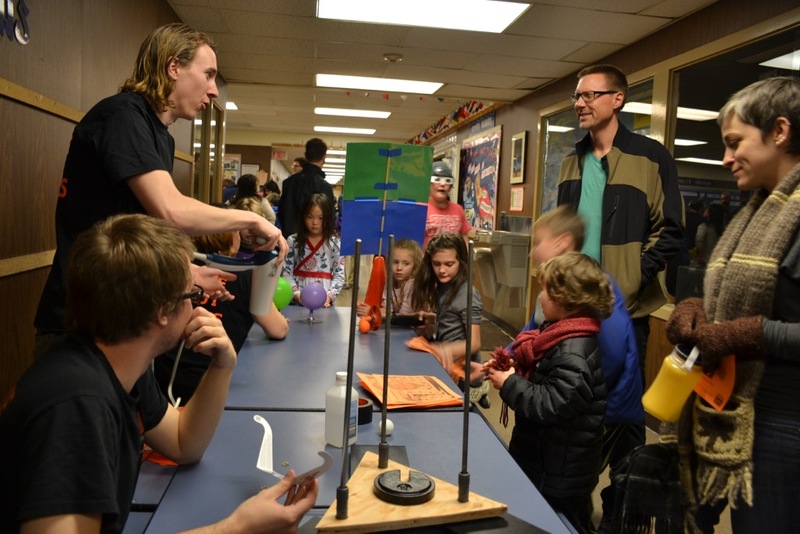 The Physics Outreach team visited Hoover Elementary School on Thursday March 3rd. 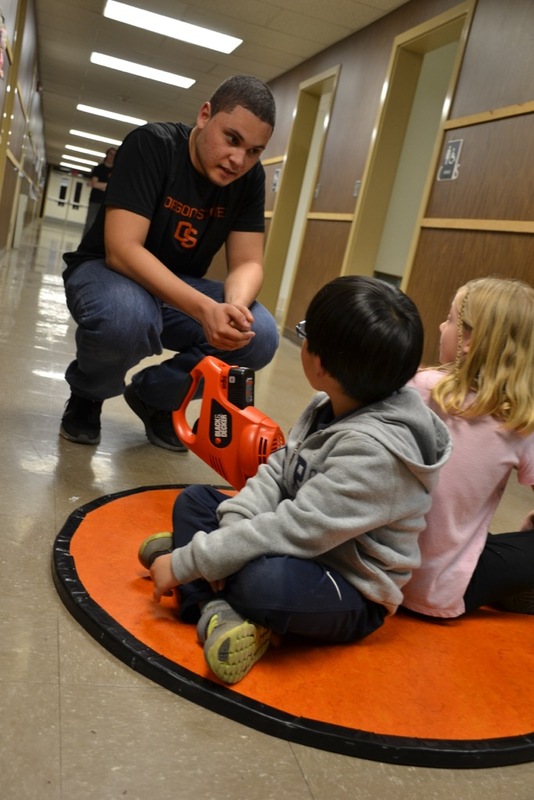 160 kids came with their parents to play with our physics demonstrations and ride the physics hover craft. 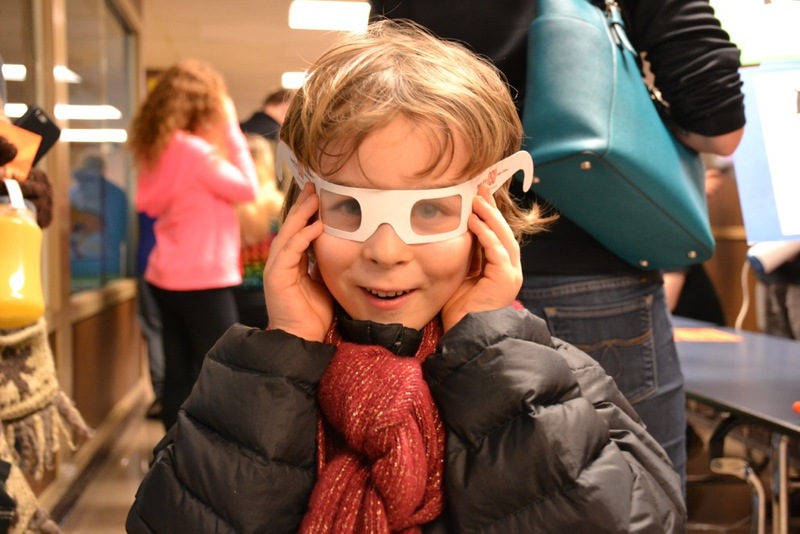 Each child left with a pair of “rainbow diffraction glass”, pictured below. Many thanks to all the OSU student volunteers: Lee Aspitarte, Ryan Bailey-Crandell, Jake Bigelow, Morgan Brown, Jay Howard, and MacKenzie Lenz. Faculty/Staff volunteers Clarissa Amundsen, Ethan Minot and Jim Ketter. 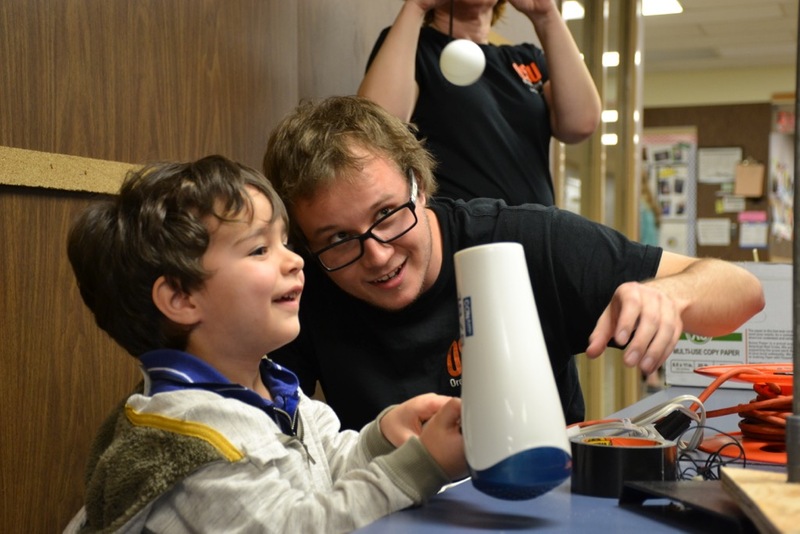 To learn more about Physics Department Outreach Events visit our outreach webpage. 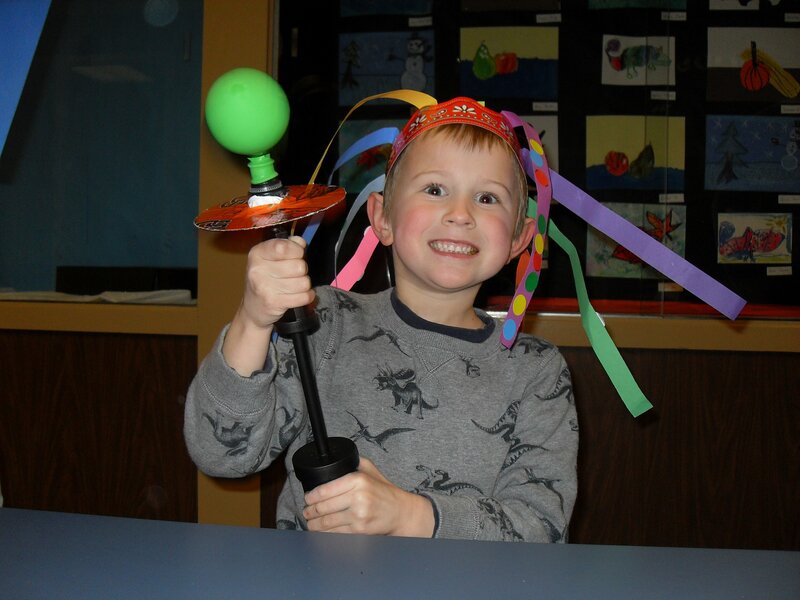 If you are interested in volunteering to help with outreach events, please contact Ethan Minot. Posted in Graduate Students, Outreach, Students, Undergraduates.